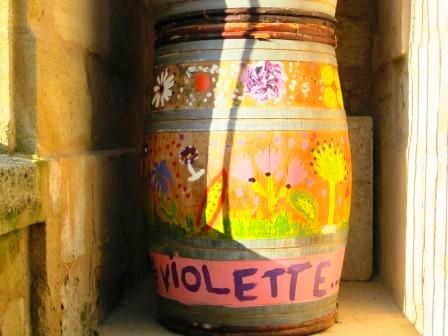 “We collect the bunches in small crates. Then we make a very strong selection on our manual sorting tables. 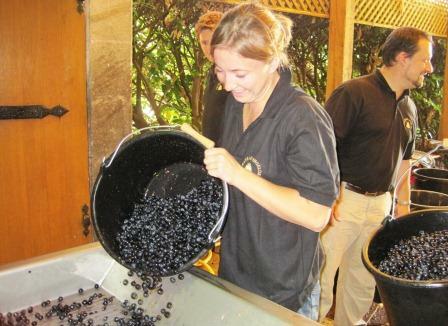 The berries are placed directly in barrels for the first fermentation. 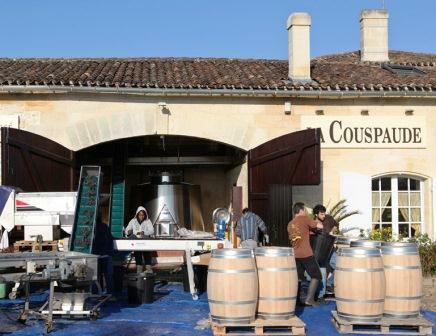 The entire winemaking process takes placed in the barrel”. The advantage we have is that our plots are on very good land, “the plateau” of Pomerol, with deep clay soil which allows us to control the vine, water, and support the warm, dry years like 2011. 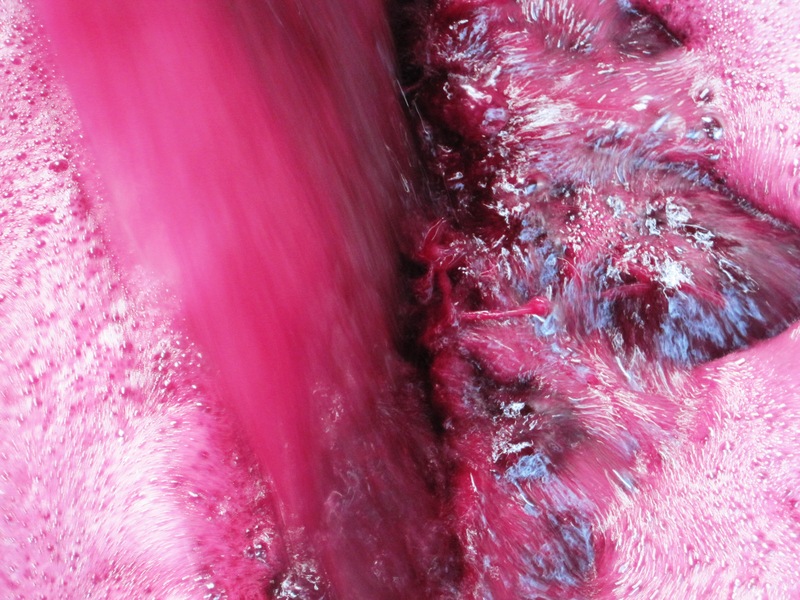 We will produce a powerful, colorful wine due to the low ratio between the juice and skins. The tannins are aproachable and elegant. The complexity of the structure will probably not be at the same level as the 2009 and 2010. “I am reducing the percentage of new oak to 80%. The other 20% will be aged in “cement eggs”. The idea is to make sure we keep all the minerality coming from our limestone terroir”. 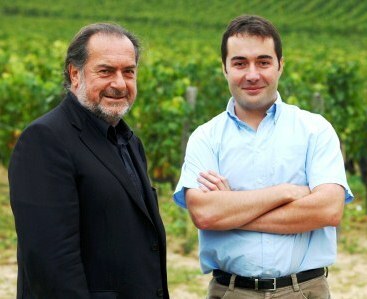 “2011 is a Bordeaux wine makers vintage. 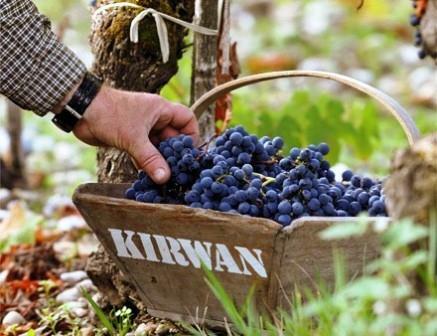 More than ever, this year will reflect each winegrower’s keen perception and responsiveness”.